Custom Pull-to-Win Card Printing by Scratch Off Systems, Inc.
Everyone wants to be a winner, so it’s no surprise that custom pull off cards and tickets are still one of the most effective promotions for your business. If you’re looking to generate more sales and revenue from the advertising campaigns you already run (direct mail, events, customer loyalty programs, in-store promotions, to name a few) consider a Pull-to-Win! Why Choose Scratch Off Systems? There are several questions you must answer before ordering pull off cards: What prizes and other incentives am I offering? How many pull off cards do I need? How will I distribute the pull off cards? 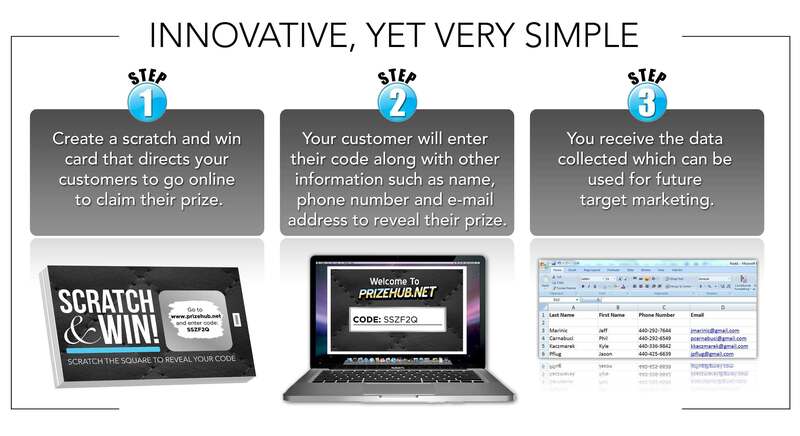 How will customers redeem the prizes? Pricing depends on the size, shape, color and quantity of pull cards. To see exact pricing for your promotion, please click the “View Pricing” button. Redemption rates vary but typically range from 10% to 30%. That said, you can increase your redemption rates by offering more prizes and better incentives. Pull cards can now be used to generate online traffic and conversions! Our Offline-to-Online Program maximizes your ROI by collecting contact information online and redirecting to your website to immediately boost sales, leads, etc. We create a custom pull card and landing page for your promotion. You distribute the pull cards amongst your prospective customers. Prospective customers pull to reveal a website URL and a code that must be entered online with additional information to reveal the prize. You receive the data collected in real-time via a private login.